We offer endless Digital Print designs in a wide range of fabrics such as silk, pure wool, silk x wool, linen, modal, cashmere, and many more blends to suit various customer needs. We also welcome buyers custom designs, Our design team can also create designs as per buyers specifications. 100% Color fast & Azo free ! 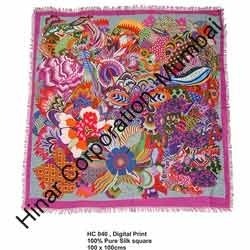 Our Digital printed shawls and scarves are produced on latest european machines and currently are a rage amongst our customers. 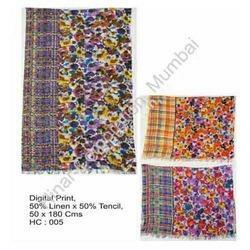 We offer Cotton Modal Digital Printed Shawls , Scarves. 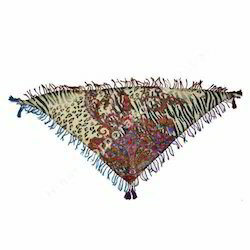 We are a trustyworthy organization offering a wide a gamut of Digitally Printed Pashmina Shawl. 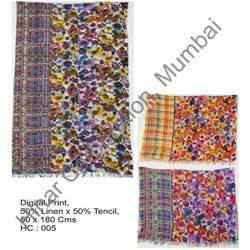 We are a trustyworthy organization offering a wide a gamut of Digitaly Printed Pashmina Shawls. 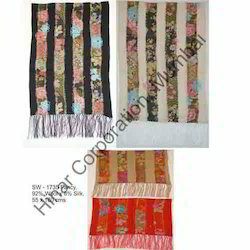 We are a trustyworthy organization offering a wide a gamut of Summer Digital Print Shawls. 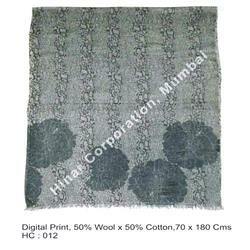 we offer wide range of fabric options / sizes. we are fully equipped to make all your custom designs. 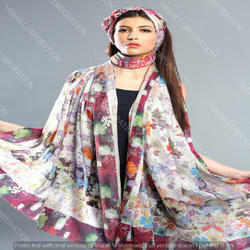 Supported by an expansive production arrangement, we are able to manufacture, supply and export Digital Print Pashmina Shawl. 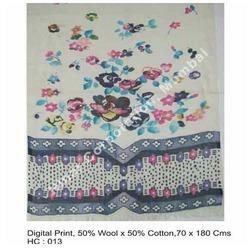 Supreme quality fabric has been source from the trusted vendors of the market for the crafting of these products. 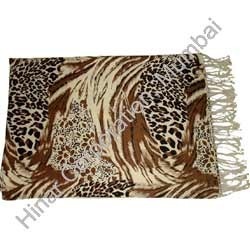 Known for their attractive designs and patterns, these products have gained a high demand in the international market. Designed as per the latest fashion trends, these products have a stylish and beautiful look. 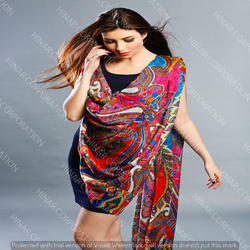 Digital Print Pashmina Shawl are available with us in varied colors, designs and patterns. 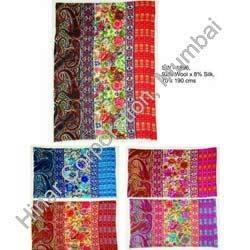 We are reckoned in the market as an eminent manufacturer, supplier and exporter of Digital Print Pashmina Shawls. 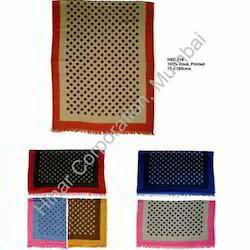 These products are made of high quality fabric that is supposed to be the best in the market. Owing to their soft texture and smooth finish, these products are very popular in the international market. 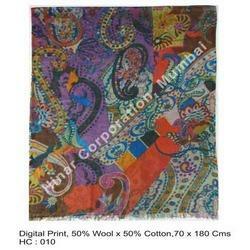 Digital Print Pashmina Shawls are delivered to the clients in an allotted time frame owing to our expert logistics team. 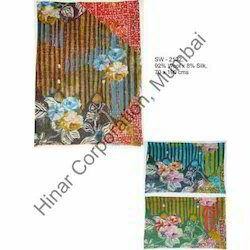 We print on wool , silk, wool x modal , Linen etc..
Ready Stockds in fashin colors available !! 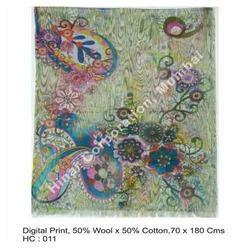 We offer a wide range of digital printed shawls , scarves , stoles, wraps. Our prints are created in collaboration with Italian design houses they are the epitome of style, each scarf boasts of a print that is both international & chic. Our design team is fully equipped to develop buyer’s custom prints / jacquard designs or one can also choose from our very wide range of designs. 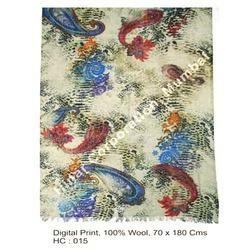 We offer digital printed scarves on various fabric blends. 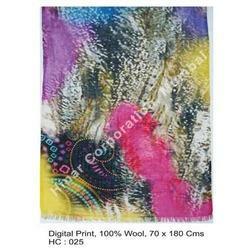 In addition to digital prints we also offer wide range of screen printed stoles, scarves, wraps.